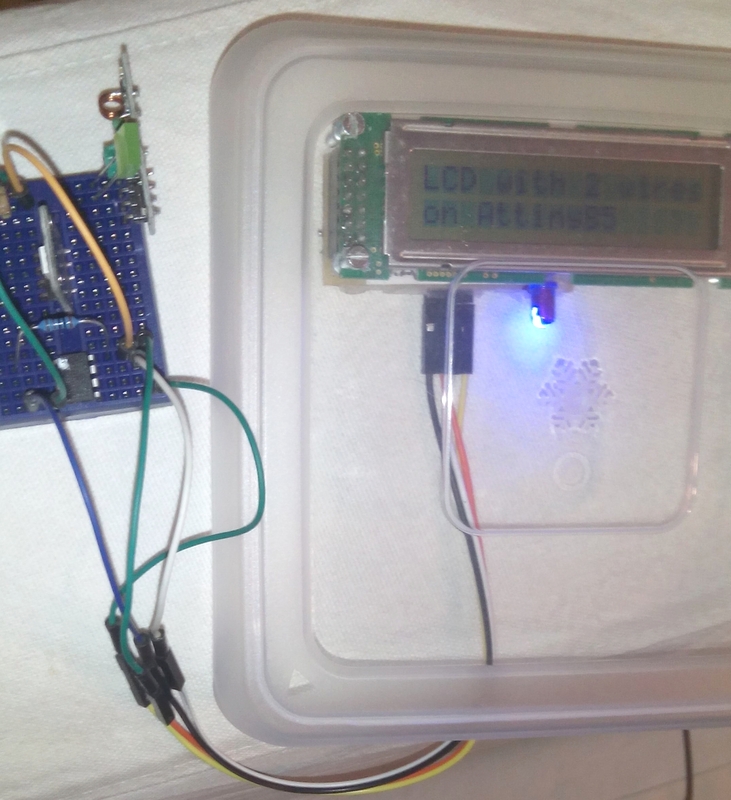 In an earlier article “Two wire interface for LCD with shift register“, I discussed how to make a two wire interface for an LCD and use that on the Arduino. Obviously if there is any chip in the AVR arsenal that would benefit from only having two wires necessary for an LCD, it is the Attiny (85/45/25). It is very well possible to use this interface with an Attiny as well. There are various cores available for the Attiny85 and I have tried a couple. Some will not work with this (a hoist of errors regarding the ‘print.h’ file), but the Attiny core from David Mellis works for me. 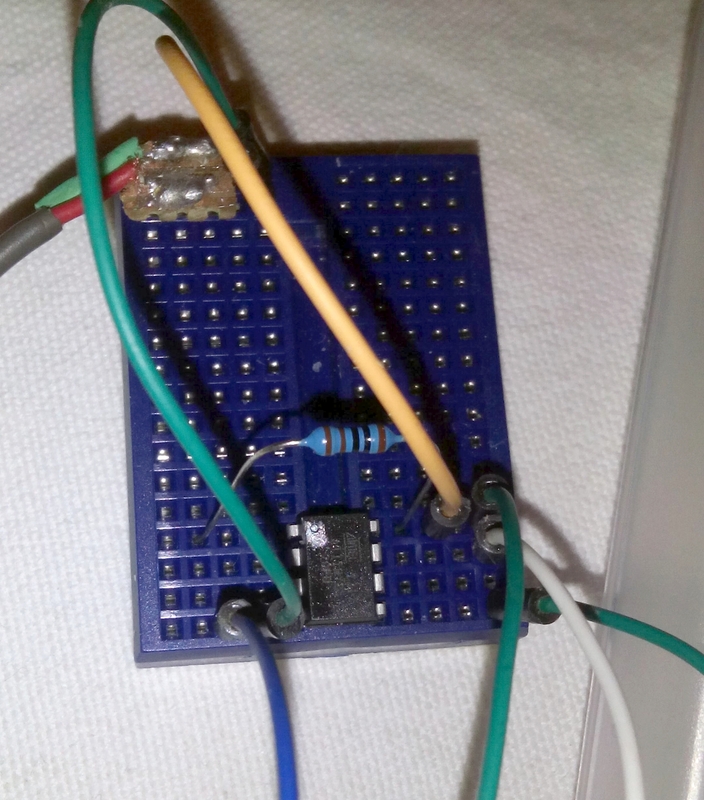 I found out that I had some trouble using the I2C port on an Attiny85 if I also used this 2 wire LCD, I am not sure yet where the problem is, maybe some shared timers or maybe the HC164 needs serious decoupling. 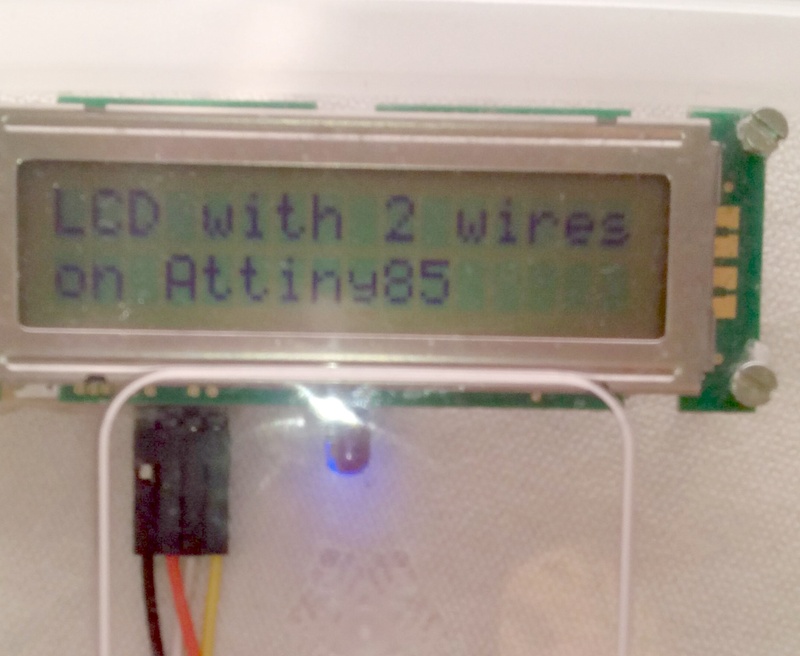 Anyway, if you are using I2C on an Attiny, you might as well use an I2C LCD as well.